Providence Guide 2 of 4: Restaurant Scene! Being that I went to school for baking and pastry, I thought it was extremely important that I was surrounded with really excellent food and drink. While I was living there, Providence was named #1 in the country for food destinations! Perhaps it had something to do with the fact that it’s teeeeny tiiiiiny and there’s more restaurants than any other area per capita, or perhaps it has to do with the fact that it’s surrounded by people who are passionate about the craft whether it’s production or consumption! That being said, here is my compiled list of recommended restaurants while visiting the city! 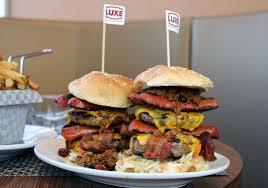 Luxe– AW YEAH GOOD BURGERS YEAH! This place is SO excellent. Whether you’re going to have a beer and watch a game at the bar, play trivia or just have dinner, the food is super quality. They have a BYOB (Build Your Own Burger) menu where you just check off the type of meat, burger buns, toppings, sides, dressings, etc and then the waiter reads it back to you. An average burger with a side is only about $9! Then for dessert, I recommend getting the Smores hard shake. They use Godiva liquor and it’s suuuuper good. 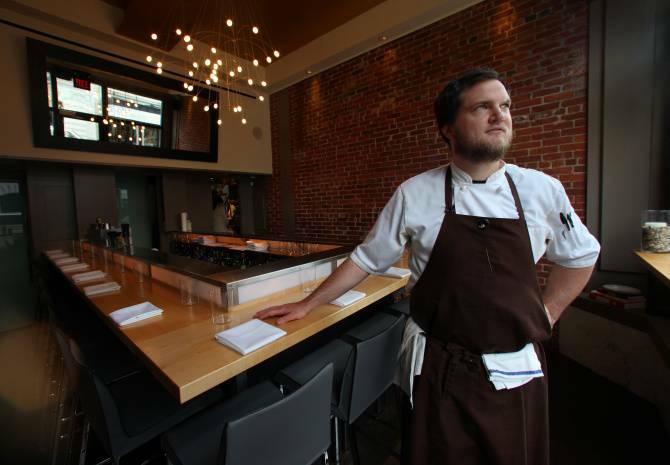 Birch– One of the most gastronomically inclined restaurants in Providence. You can order a la carte but my recommendation is to bite the 70 or 80 bucks a person and get 4 courses. The food is SO good and full of flavor. Even if you think you won’t like something, you will. Still one of the best meals I’ve had to date! Al Fornos– Talk about typical Italian food! It’s really well prepared there and everything comes in decent portions. There are two levels for seating inside, but when the weather is nice you have to sit outside! It’s right along the water too so the views are beautiful. Al Forno’s is also known for their wood fired pizzas making it a must have appetizer to share! 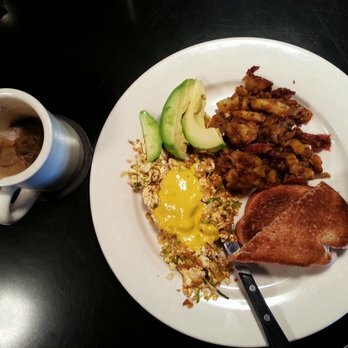 OV’s – Is trashy hangover breakfast your style? This place is the PERFECT hangover food. The omelettes are great and come with a side of hashbrowns for super cheap. Seaplane Diner– Seaplane is the other choice when OV’s is too busy. This place is a little nicer and dare I say it, cleaner? But I think I’d still recommend OV’s over Seaplane any day. 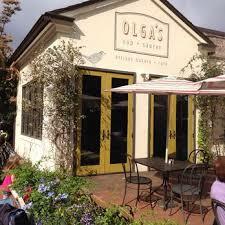 Olga’s Cup and Saucer– This place is actually run by a chef that teaches at JWU. It’s the perfect place to bring your mom for brunch! Really cutesy and sweet; for example some of the seating inside looks like patio furniture and on warm days they keep the windows open that look into the garden. There’s a pretty big focus on bread there too! Brickway on Wickenden– Oh wait, you want another great brunch place? This restaurant is FULL of character. The walls are painted like crazy and it gives you plenty to look at and talk about. Pancakes are excellent here and if you want to walk around afterwards, you can hit up India Point Park or a bunch of coffee shops to walk off your food baby! Duck and Bunny– It’s claim to fame is calling it a “snuggery”. This used to be a house that was then converted into a restaurant. You can choose to sit in any room of the house, each room with different character, or even sit in the backyard garden on warm days! They’re known for their crepes, truffle fries and teeny tiny cupcakes! Worth it for the experience! 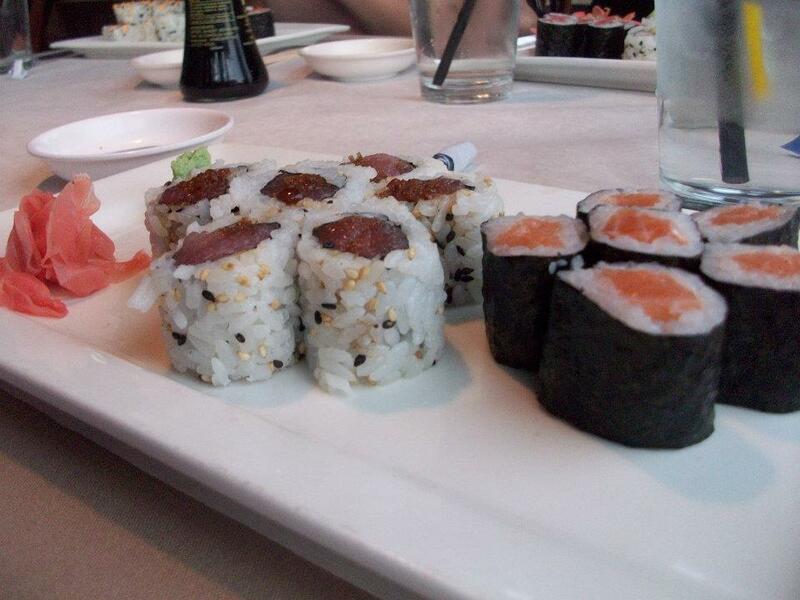 North– Asian American fusion restaurant with a serious twist on textural and flavor manipulation! They use a ton of fresh ingredients and go to a local farm each week to stock up. All of their plates are handmade too which the foodie geek in me thinks is pretty cool. Menu can change whenever based on what they have in house and they often have guest cooks too! This place is really small though so you might have to put in your reservation and walk across the street to grab a drink at The Avery! Kitchen– With seating for less than 20 people, this brunch place is a must. They have an open kitchen and really cutesy seating for only up to 4 people. The croissant French toast is TO DIE FOR. Harry’s Burger Bar– This place comes second to Luxe Burger Bar to me, but is also a great burger place! Their burgers come as sliders and are pretty cheap- YUM! Julians– Sooo I’ve never been here unfortunately BUT I’ve heard that this place is AMAZING. A friend of mine is actually their pastry chef! When I visit, I’m adding this to my list! Nicks on Broadway– Nick’s has an open kitchen and is packed for brunch week after week. I love being able to watch my food being made for me so A+ on atmosphere! I don’t even know what it was, but their pancakes are like no other! They’re thin and sugary and so so good. Doesn’t even need maple syrup! Mediterraneo– Classic Italian! Well-made and flavorful pasta dishes and you’ll get enough food for two days. It’s a bit on the pricier side but a good choice for a graduation dinner or some type of celebration! Shanghai– So I’m not a sushi eater, but this was the place where I tried sushi for the first time. Everything is really fresh and clean and my friends think their Chinese food is killer! If you sit in the restaurant, grab a seat by the window because it directly overlooks Thayer Street and is great for people watching! 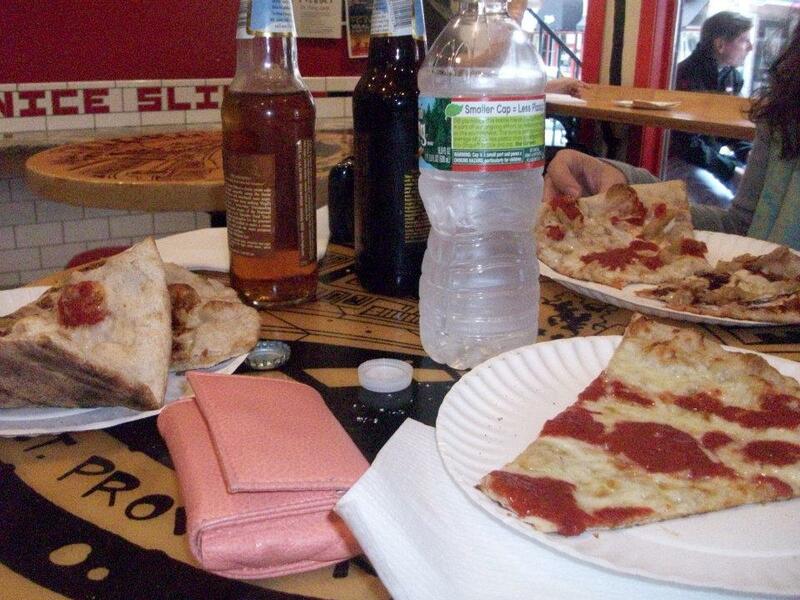 Nice Slice– This place is pretty hipster as far as pizza goes. Super good pizza and they also offer a lot of options for vegan/vegetarian/dietary restrictions! Thanks for reading and I hope this might help finding good eats on a visit to Providence! Check back next week for another great area to visit and again on Thursday for my Providence bar suggestions!